For my birthday/housewarming a couple months ago, my sister gifted me a beautiful amaryllis flower that has been blooming and blooming and stems are still shooting out from this little pot. I don't know how many more are hiding beneath the soil, but I've been enjoying all the color it's brought into our kitchen. Unfortunately, it's also brought in a bunch of gnats and A. wants me to get rid of the source of the problem, but I'm hoping that now that the buggies have died down a bit, we can keep our leafy pet. As the flowers bloom and dry, I've been collecting them into a little arrangement of sorts. 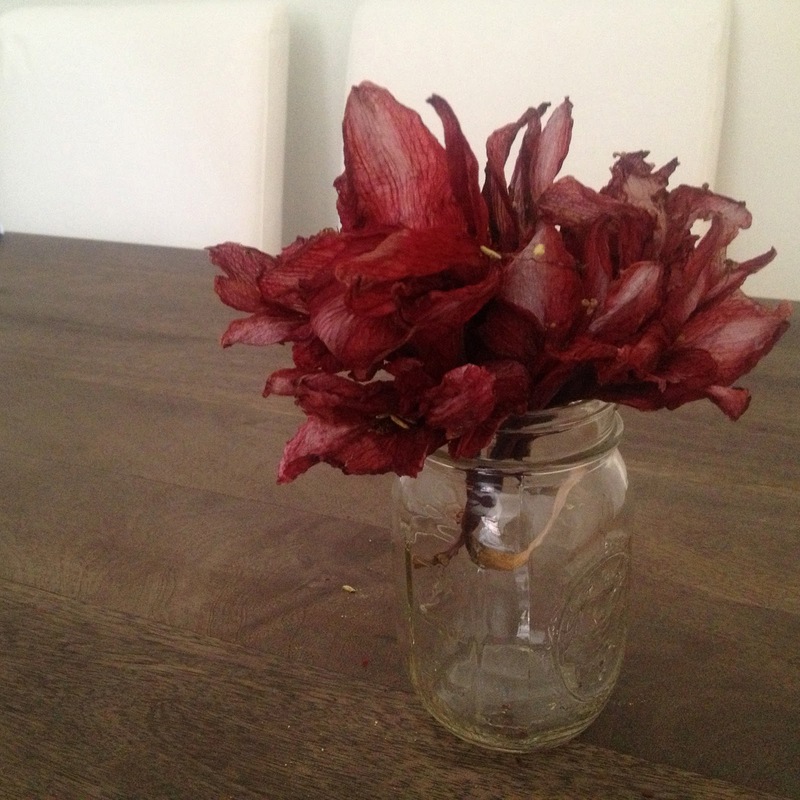 It might not look so fresh, but after seeing the pile of dried petals on the table, I just couldn't bear to throw them away.